In 1932 Highbury Estate – Highbury hall and its gardens, the Birmingham home of Joseph Chamberlain – was given in trust to the City of Birmingham. Since then it has been operated by Birmingham City Council as sole trustee. It has been used for many purposes, most recently as a banqueting and wedding venue run by the City Council’s catering arm. Following a detailed options appraisal by Birmingham Conservation Trust, Birmingham City Council wishes to facilitate a fresh start for Highbury. A new independent trust, the Highbury Heritage Trust, will be established and granted the estate’s assets on at least a 25-year lease. The new trust will develop and implement a vision for Highbury. For anyone passionate about Birmingham’s heritage this is an extraordinary opportunity to come in at the beginning of a transformational venture and shape the future of Highbury for a generation. Closing dates for applications: 16th October 2015 (for role of Chair); 30th October (for role of trustee). Open evening at Highbury for candidates: 8th October. Interview dates: 26th October for Chair; tbc in November for trustees. 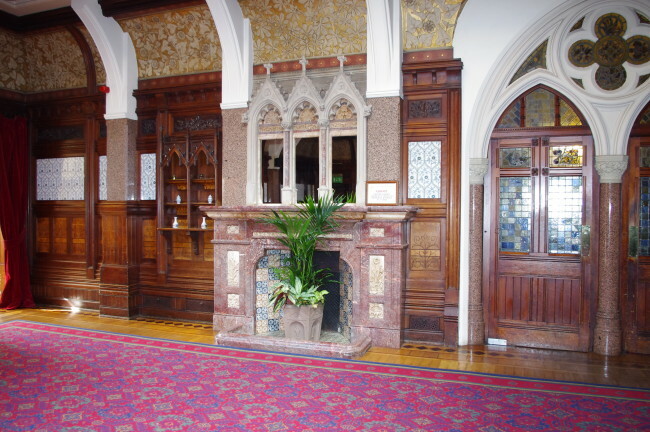 I hope you don’t mind me getting in touch I’m very interested in playing a part in the history side of Highbury Hall. I’ve had and have a big interest in Highbury and Joseph Chamberlain for ten years now, I’m also a big collector of Chamberlain Memorabilia I show case my items at Highbury twice a year on there opening days! Like I say I would love to have some involvement in Highbury the history side. I would very much like to see Highbury do well and for the Birmingham people to learn of its history and the great Chamberlain family. Would be most greatful if you would get back to me?